The local bike shop. At its best, it can be a place where dreams come true, and the home base of a close-knit community of like-minded friends. Despite eking a meagre livelihood in an endangered corner of the shrinking retail landscape, I’ve rarely known a bike shop to close. 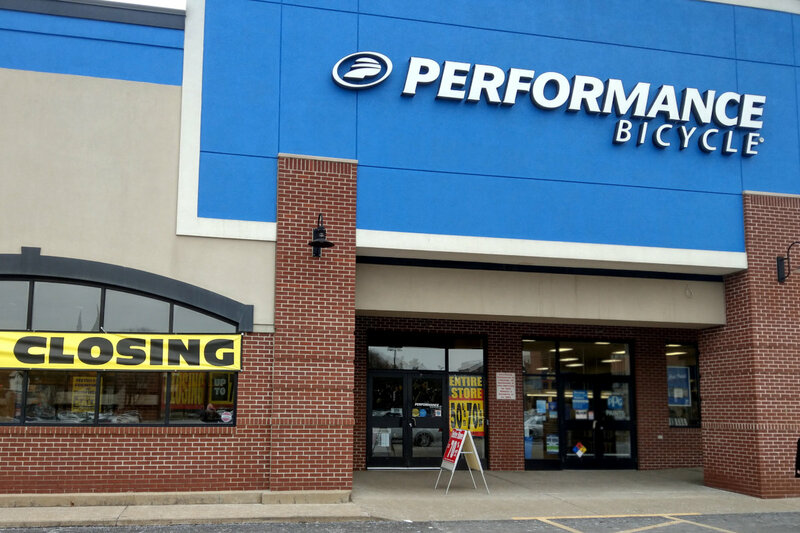 That leaves me a little emotional after the recent closure of Performance Bicycle, a 38 year-old national mail-order chain, with 104 brick-and-mortar retail storefronts. My history with PerfBike goes back to 2002, when I had just resumed riding as an adult. Back then, they were just another faceless mail-order company whose business was quickly supplanted by Amazon, so I didn’t think about them again until I moved to Pittsburgh in 2015. 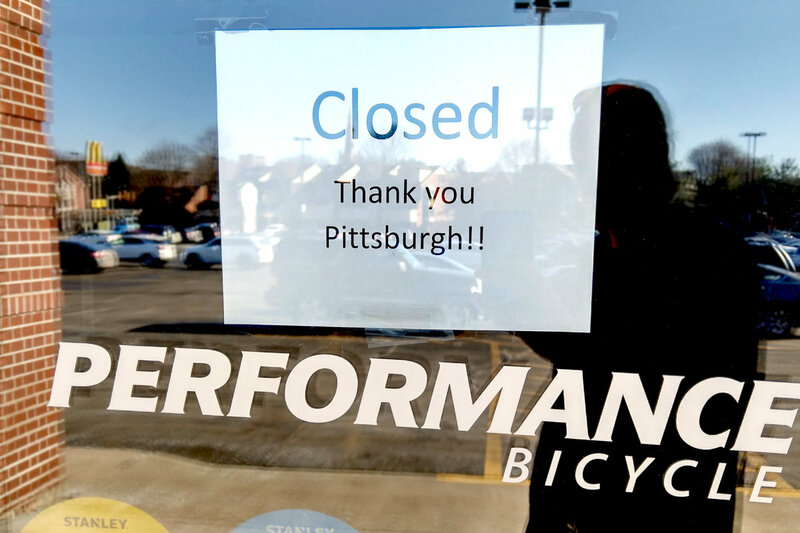 In Pittsburgh, Performance had an actual retail storefront in a local strip mall. In fact, it was one of the largest bike shops in the city. Although they were only two miles from my house, they weren’t my go-to shop, since I am fortunate to have two good shops here in the neighborhood, but I made good use of their breadth of inventory. But what really tied me to PerfBike was their group rides. Every Saturday morning, store staff (Alex, Cheryl, and Scott) led an easy, low-impact jaunt around the city for maybe a dozen riders. That was nice because it gave me a social outlet and way to integrate with the cycling community in my new town. And I could choose my pace based on however I felt on the day, often as a perfect recovery ride. Over three years, I did a couple dozen rides with them. And it was a nice opportunity for me to practice mentoring less experienced riders. So it was a bit shocking when Performance announced they were filing for bankruptcy and closing all their retail stores. That day I went down to the shop and chatted with Alex, and visited a couple more times in the two months it took to sell what they could and wind down operations. It felt a bit morbid, like picking over carrion, but I scored a few choice bits of inventory for myself. Two rear cassettes, two chains, 4 inner tubes, a water bottle, new tire levers, bar tape, chain lube. But the highlight was finally picking up a torque wrench set, which has become a very important tool now that nearly everything is made from carbon fiber. It is about as key as the other favorite purchase I made last year: Performance-branded neoprene shoe covers, which are absolutely awesome for winter riding, so long as you’re not allergic. And now the storefront is empty and boarded up. The staff have all moved on to the things they lined up, and the group ride’s social media pages have been taken down. I’ll miss those nice, social Saturday morning group rides and the people who tagged along. And I’ll probably never take a local bike shop’s presence for granted again.